Neil Johnson is Methodist Minister of The Church at Carrs Lane. His previous appointments were in West Cumbria, Chelmsley Wood and at the Birmingham Methodist Central Mission. 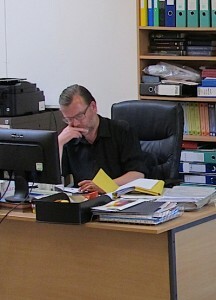 Neil is also one of three Superintendent Ministers of the Birmingham Methodist Circuit. In this role his brief is Service & Evangelism, which covers support and development of mission through chaplaincies, community projects and other outreach work. Neil chairs the Birmingham Christian Homeless Forum, as well as the Retail Chaplaincy Management Committee, and serves as a trustee of Hope Housing, which offers accommodation to asylum seekers. He has oversight of the Birmingham Methodist Circuit’s Ministry to Education Group, the work of the Youth Minister, the annual World Church Event, and the Circuit review process. 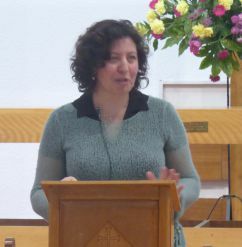 Cristina Cipriani is United Reformed Church minister at Carrs Lane. She was born in Bari, Italy, in a religiously mixed family: her mother is Protestant and her father is Catholic. She studied Theology at the Waldensian University in Rome, then moved to Germany where she did training in Clinical Pastoral Education worked as a Hospital Chaplain as a member of an interdenominational team. In 2011 she moved to the UK, living in Cambridge and four years later started a Master’s degree in Cambridge. Last year she did her final placement in Liverpool and now she is starting her first pastorate in Birmingham, in shared ministry here at The Church at Carrs Lane and Digbeth-in-the-Field United Reformed Church. Cristina’s interests are interfaith dialogue, the connections between psychology and theology and how the church can be a place where everybody is welcomed and feels safe. Her hobbies are foreign languages, cooking, walking, watching musicals and movies. Ruth Yorke is a Methodist Minister with The Church at Carrs Lane. She has previously worked with people on housing estates in High Wycombe and Basingstoke. 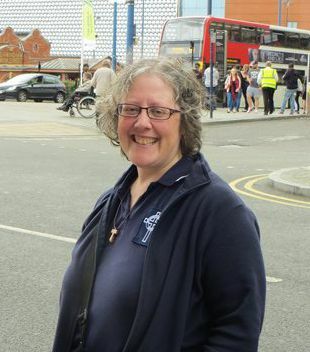 She has come to Birmingham to work with the church in developing its service amongst vulnerable people in the city, and is excited to be amongst so many people who are passionate about serving others. Ruth has many interests, including interfaith working, and ensuring that we work towards making churches places of inclusion and safety for everyone. She has been involved in the early stages of the development of ‘positive working together’, a Methodist Church approach to working well together in church life in the midst of our varying personalities, backgrounds and experiences. The church’s leadership group is called the Eldership. With the ministers, elders are officially trustees for the Local Ecumenical Partnership. There are ten of them and they are charged with the responsibility of ensuring the fulfilment of the agreed guiding principles. They also have pastoral oversight of the whole life of the church. Church members are called by fellow church members to serve on the Eldership, through a process of nomination and authorised by Church Meeting. The period of service is three years with the possibility of immediate re-election for one further period of up to three years. On completion of their period of service, retiring elders are not eligible for re-election for one year. Their Call is recognised through promise making and commissioning in worship. Liz Cummings, Diana Cullum-Hall, Derek Duffield, Julie Grove, Matthew Neville, Stephanie Neville, Jan Scott, Andrew Veitch, Peter Woodall and Chris Yorke. The Elders’ Meeting recommends to Church Meeting the appointment of honorary officers as appropriate. Currently the Church officers are: Church Secretary: Julie Grove; Church Treasurer: Peter Woodall. These are currently all serving Elders, but even if they were not, they would be co-opted members of the Elders’ Meeting by their office. The Elders’ Meeting has also established committees with appropriate delegated authority which currently includes Finance Committee, Worship Consultation, Mission Group, Publicity Group and the network of pastoral visitors.